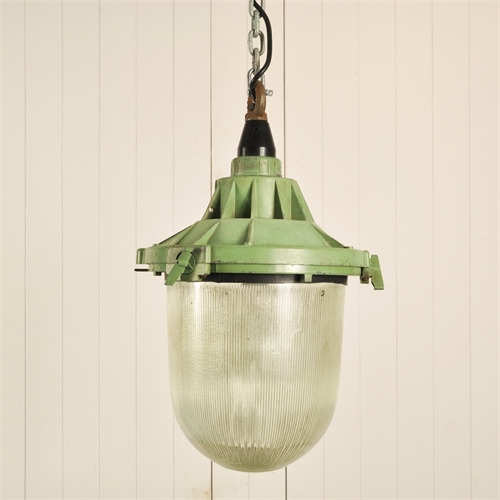 This vintage industrial prismatic light was sourced from a German copper mine. Designed to be explosion proof these lights are very well engineered. We have kept this one in its original paint and patina and love the impact its scale and finish creates. Fully re-wired and supplied with chunky galvanised chain and ceiling hook.